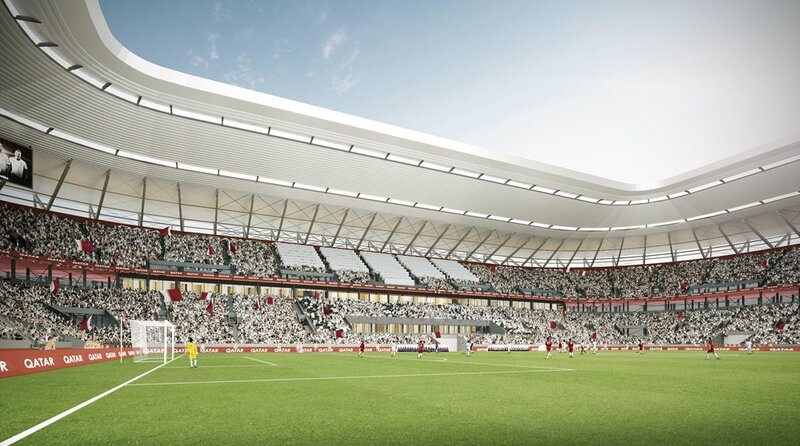 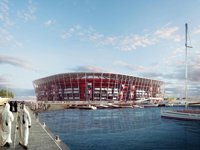 The main idea behind this stadium is truly revolutionary: if built in its presented shape, it would be the first ever fully demountable and transportable stadium that could be re-erected at any location worldwide. 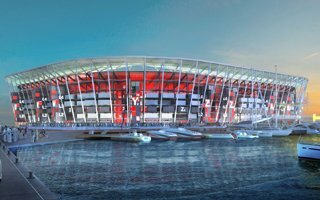 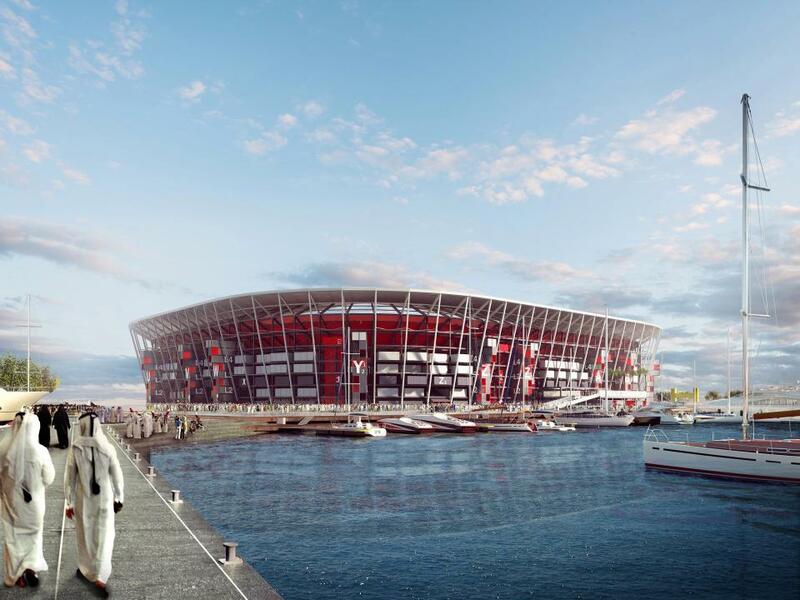 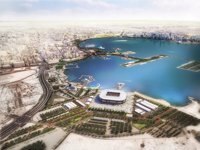 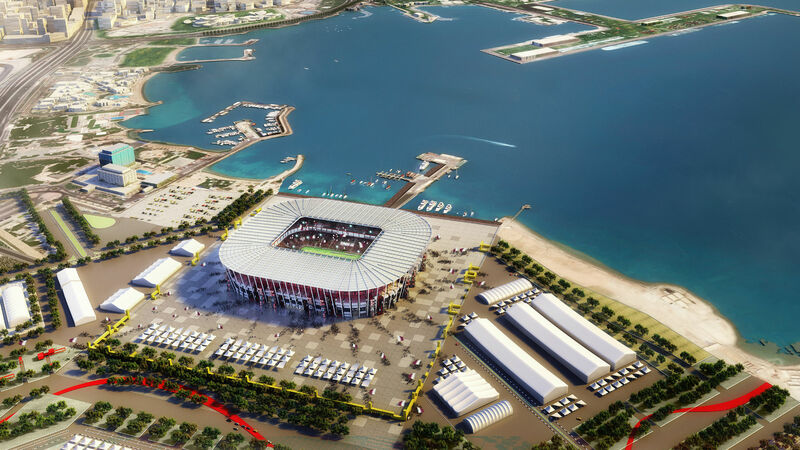 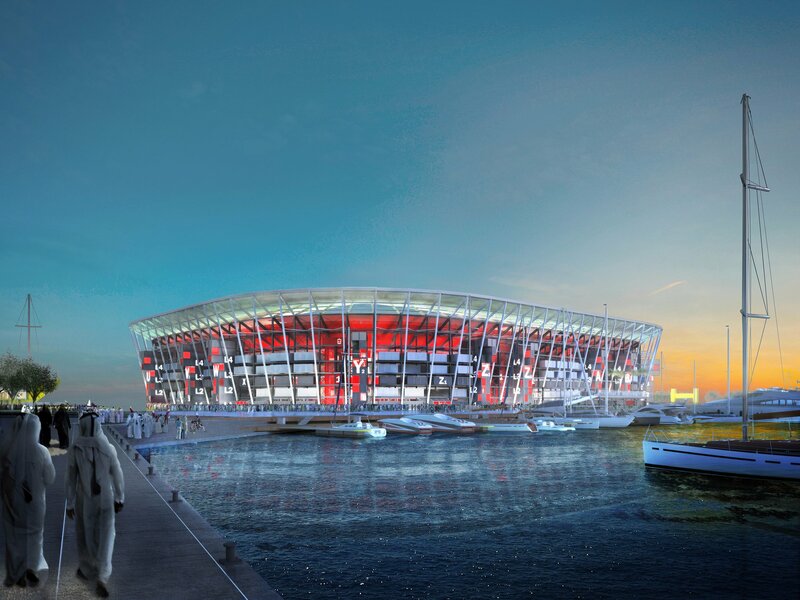 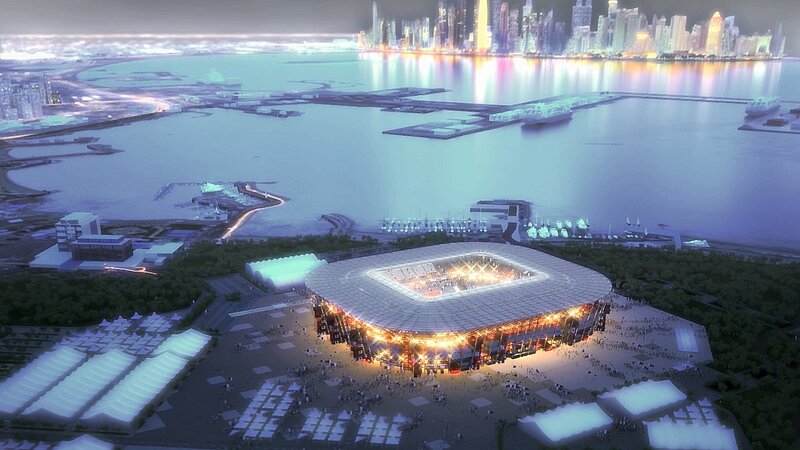 It's designed with the 2022 World Cup in mind while afterwards only a field-sized lake will remind everyone where the stadium used to stand. 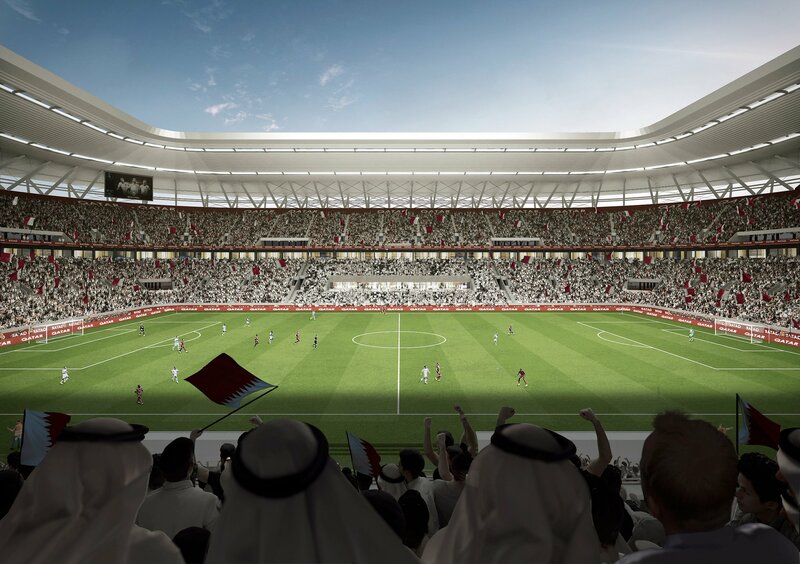 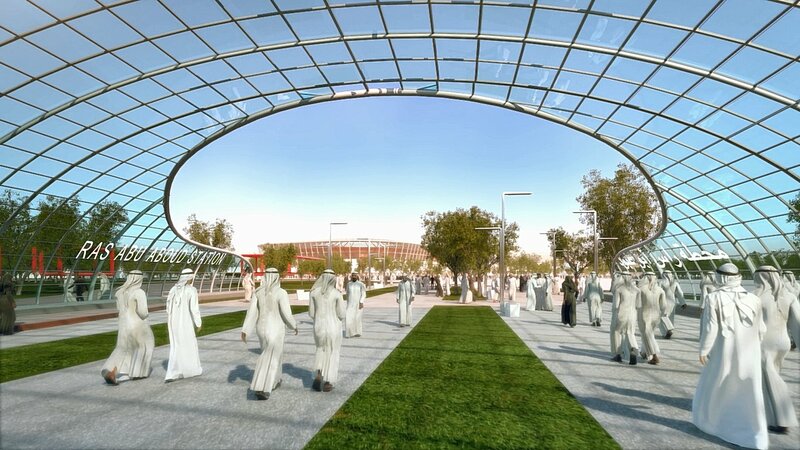 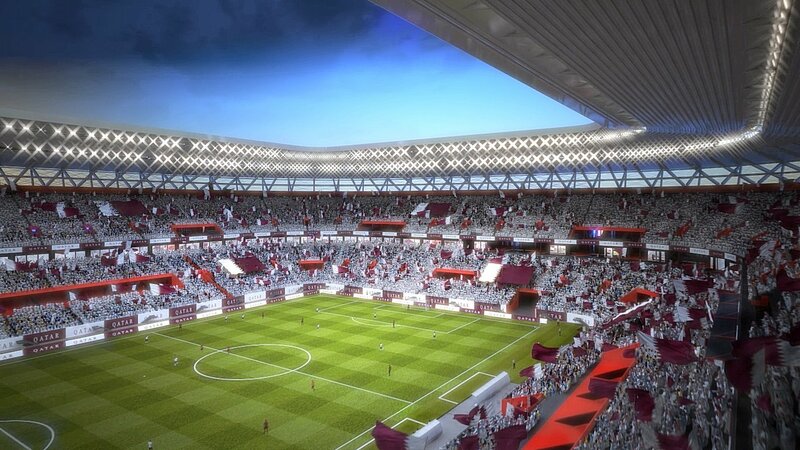 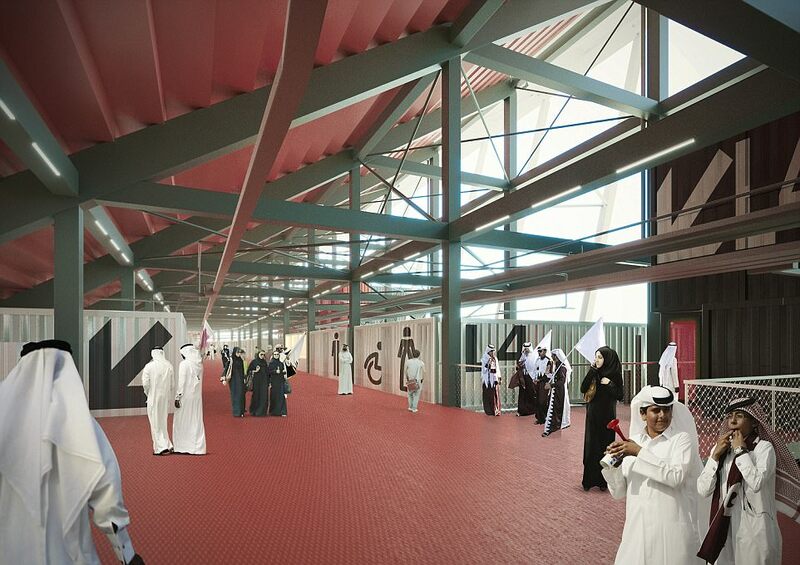 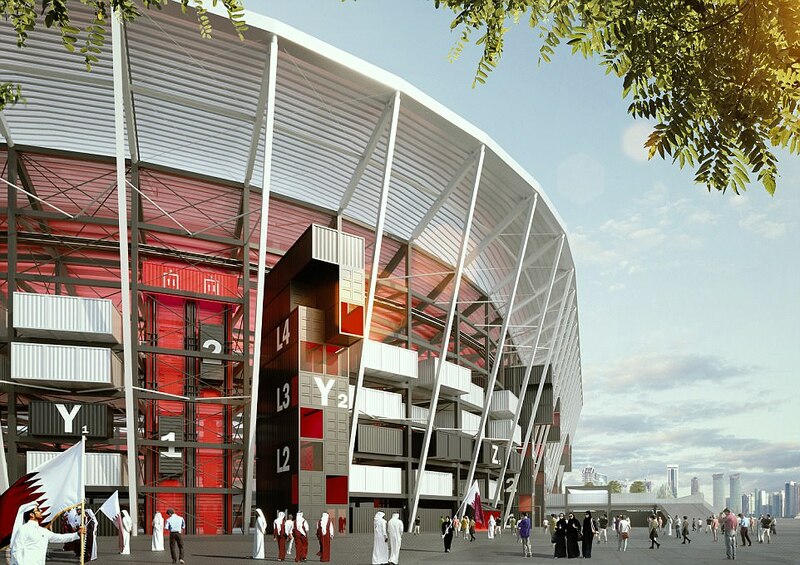 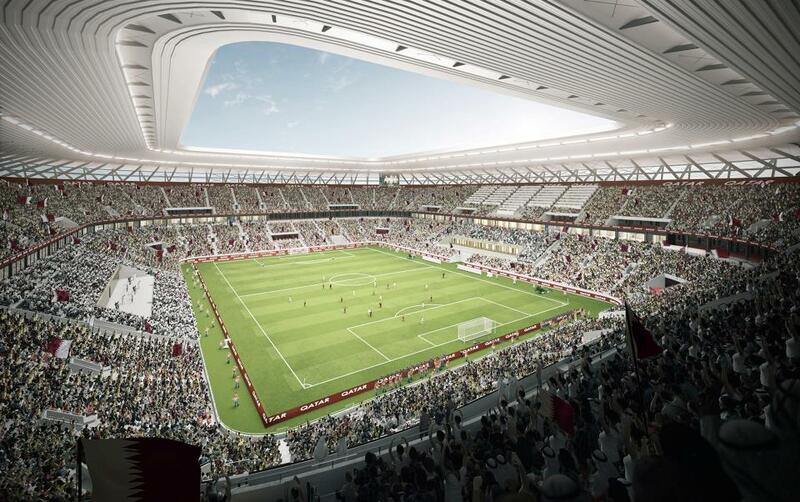 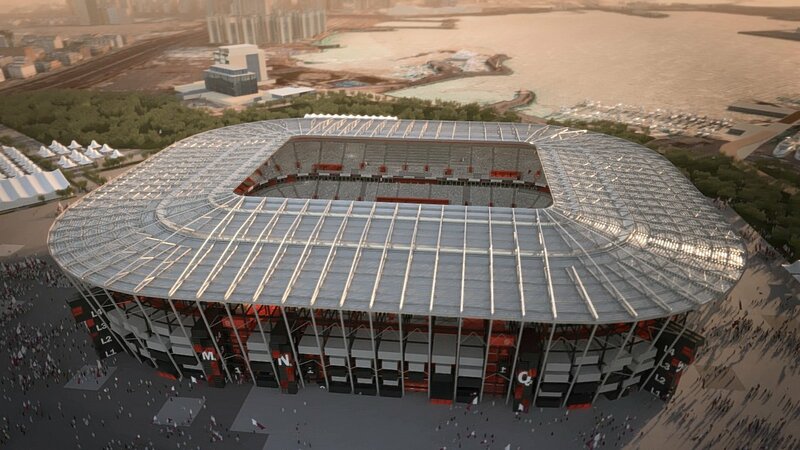 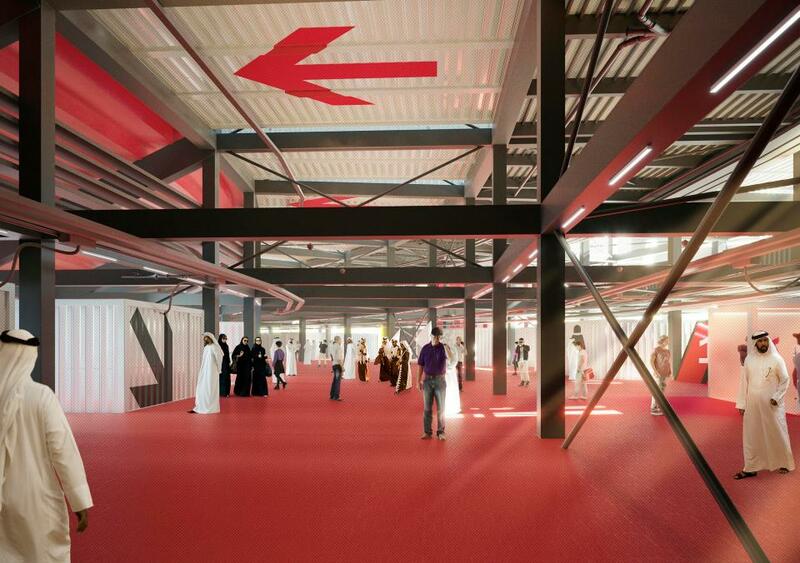 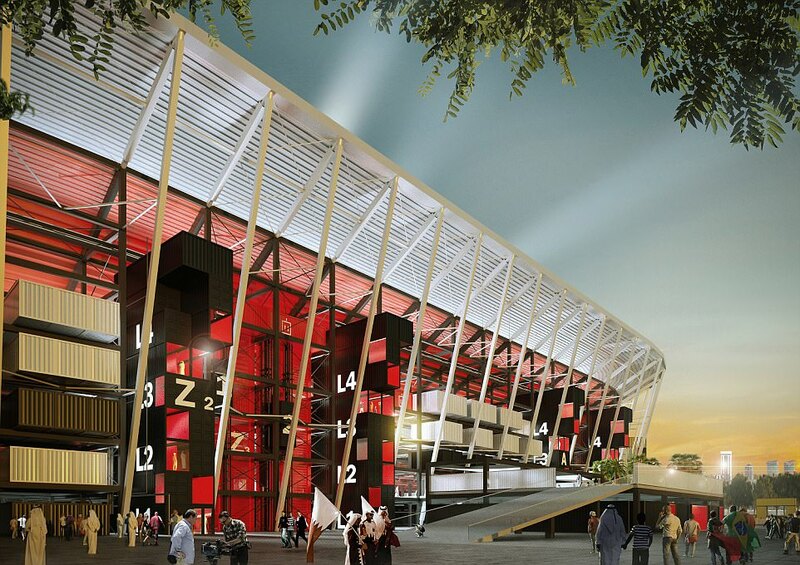 While concepts of temporary stadiums are nothing new and have, to some extent, been introduced during numerous tournaments, the Qatari tournament could be a milestone. 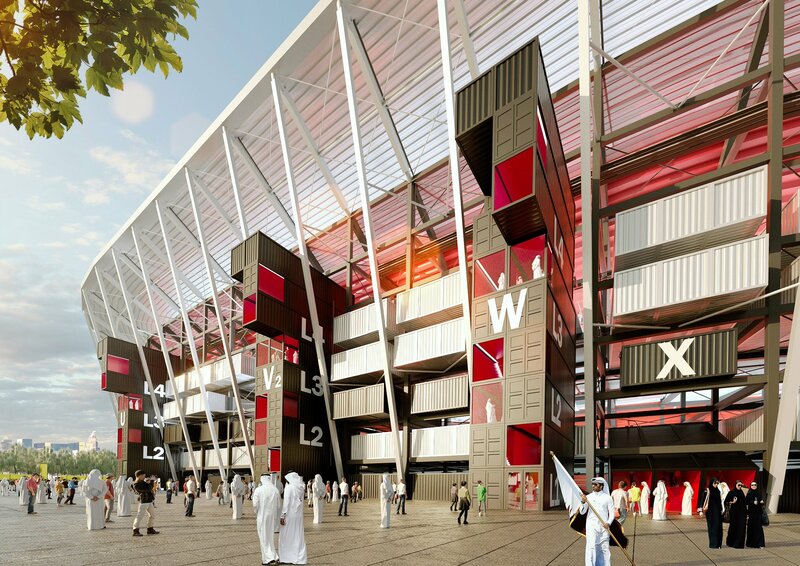 Created only with modular, demountable structures, including shipping containers for catering, media and even staircases. 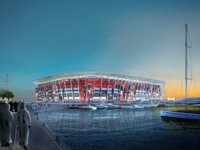 The stadium could also be used to supply modules for other smaller venues like amphitheaters, indoor arenas or smaller sports venues. 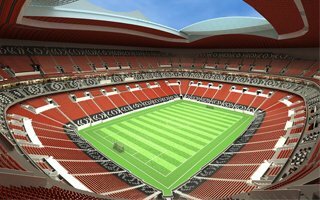 Simply anything as long as its fully reused after the tournament and leaves the site for only 450,000 m2 of green leisure space.